Linda Mackenzie is the epitome of the multi-hyphenate! A former telecom engineer who designed and implemented world wide networks for major airlines and Fortune 1000 companies, she also launched one of the first used PC stores in America, a metaphysical product company, a supplement manufacturing company. 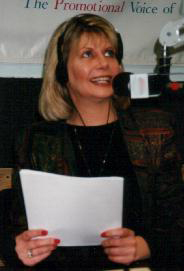 Today Linda is the Founder/ General Manager of HealthyLife.Net, a 24/7 Internet Radio Station, where she also produces and hosts the The Linda Mackenzie Show. Linda, a Doctoral Clinical Hypnotherapist Candidate, is the Author of 4 books and 17 audiovisualization tapes, a Motivational Speaker, Psychic and owner of a publishing and media company - Creative Health & Spirit. She has received many awards for her hypnotherapy profession, humanism, self-help audio tapes and books and is listed in Who's Who of American Women, Who's Who International and Who's Who in Medicine and Healthcare and ABI's Great Women of the 21st Century for Radio Broadcasting. Linda's professionalism, positive attitude combined with her soothing voice and genuine caring for people comes across to her listeners. Her purpose is to provide people with positive information on life and health. The motto of her company is: Lighting the Way with Energy, God & Love. Natural health and awareness issues are mainstream! Billions of dollars are spent on natural healthcare and awareness in the U.S. alone! Future trends and statistics point to a continued growth of interest in these fields. There is and will be a growing need for more information and The Linda Mackenzie Show fills this need. Since 1996, every week new and faithful listeners tune in to learn the latest facts on natural health and awareness issues that have an impact on improving their lives. Famous and noted guests provide discussions on thought provoking topics. Free from controversy, this upbeat show is dedicated to giving out this information in a positive way. Want to Be A Guest On My Radio Show? If you have a positive mind, body, spirit book, movie or topic that helps educate & elevate the masses and would like to be on The Linda Mackenzie Show please send a copy of the book (or show idea) and a press kit to the following address: Creative Health & Spirit, P.O. Box 385, Manhattan Beach, CA 90267. Please do not call or email. The book or idea will be reviewed and if selected someone will contact you with an interview date. Please understand that I am usually booked three months in advance.